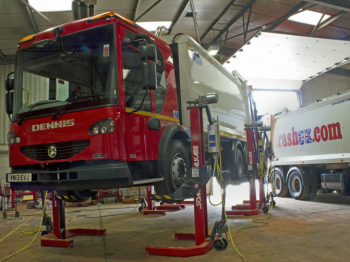 At our dedicated workshop, we are equipped to carry out all repairs and refurbishments. All equipment and components come with a 12 month warranty, and refurbished vehicles are supplied with a full 12 month M.O.T. Our nationwide team of mobile engineers deliver an efficient and speedy response anywhere in the UK to keep your vehicles and the TRASH fleet running smoothly.